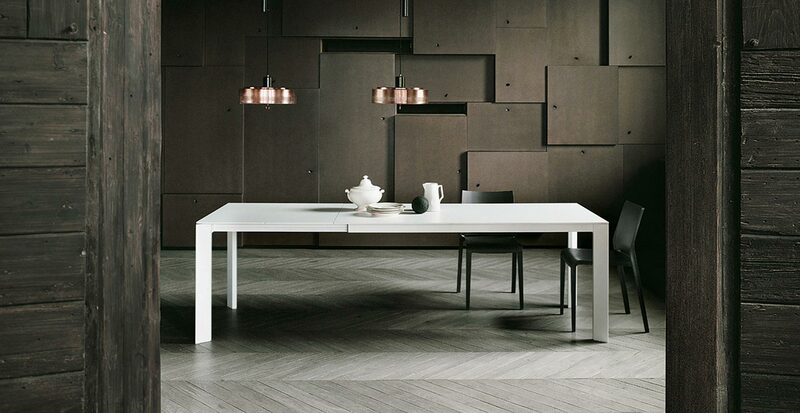 Simple, functional and essential the table Every shows all its versatility by proposing a wide range of materials, sizes and finishes, which enlarges the possibility of placing it in different environments. 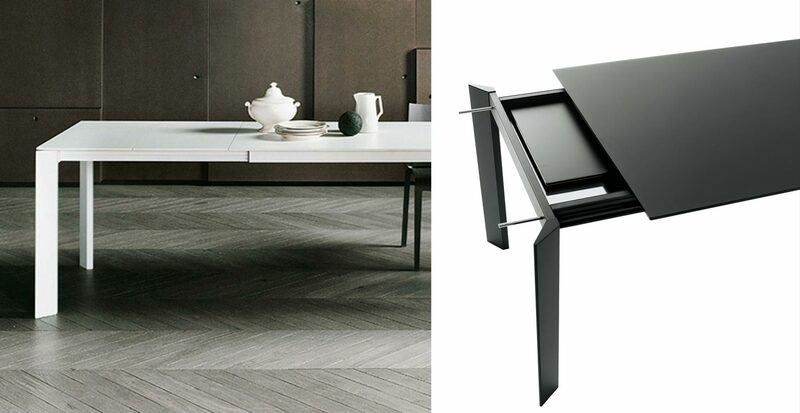 Extending table with extruded aluminium structure matt lacquered or natural anodized. Tops available in glossy and matt glass or in Alucompact. Extentions in Alucompact. 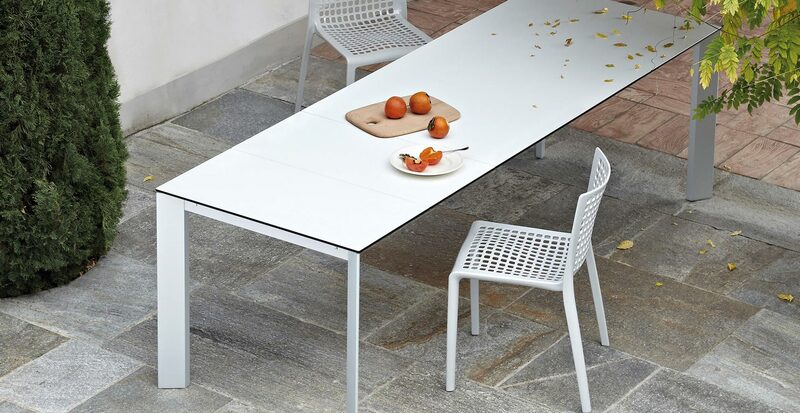 Two extractable handles allow to extend easily the die-cast aluminium structure.